May was Manchester month for TextWorkshop. 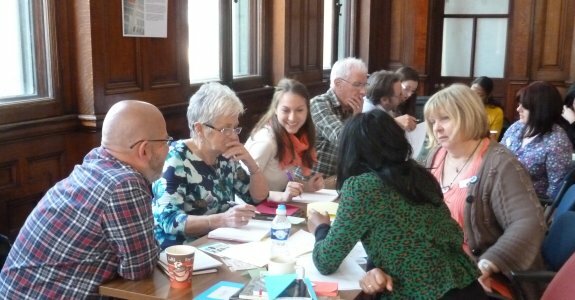 We worked with staff of Manchester Libraries, Information and Archives, and also with the team at Manchester Museum of Science and Industry (MOSI), giving in-house TextWorkshops about writing great panels and labels. It’s always exciting to be in historic Manchester – we had time to visit the institution that is Dimitri’s Greek Taverna, as well as seeing the city full to bursting for Alex Ferguson’s street-storming parade as outgoing Man U manager.